Kidpower’s donors include schools, businesses, service clubs, foundations, government agencies, and individuals who care about safety for their communities and loved ones. MANY THANKS to our hundreds of donors and volunteers. Your generosity is making a big difference in our ability to help others. A big Kidpower “Thank you!” to every local leader who has taken the initiative to improve community, school, and individual safety by introducing Kidpower to others in their area! Thousands of people around the world are safer and more confident because one person in their community knew about Kidpower and believed our skills were valuable. We extend our most sincere thanks to each one of you who has generously given of your time and money to support Kidpower by making a donation, sharing our information, or organizing a workshop. Every teacher, principal, parent, counselor, employer, service club, or club leader who brings Kidpower to their own communities helps us make our services widely and equitably accessible. We couldn’t do it without you! The leadership of local schools, community organizations, and service clubs provides crucial support for Kidpower’s efforts to ensure equitable access to the skills we teach. Please email or call Program Manager Erika Leonard at (510) 334-2242 to share more about your service group or organization’s giving goals and to learn how our work can further those goals. Kidpower is registered with Network for Good and are registered as charitable, nongovernmental organizations in each country we serve. Our foundation donors large and small provide essential support, fueling Kidpower’s efforts to prevent future bullying, violence, abuse, and abductions. Our foundation partners have diverse goals and priorities, but all have recognized Kidpower’s capacity to improve safety and quality of life through our services. Some are drawn to Kidpower because of our work with children, while others recognize the invaluable role our skills play in the lives of other vulnerable populations. Some have awarded grants to us for years, while others are new supporters. We deeply value each of our foundation partners for the commitment they show to making a difference by empowering people to take charge of their safety and well-being. We would love to learn about the priorities of your foundation and talk together about how Kidpower complements and furthers your goals. If you would like to join us in improving access to safety skills; building confidence in children, teens and adults in our communities; or tackling bullying and abuse with practical skills, please contact our Central Office. We are registered with Network for Good. We are also registered as charitable, nongovernmental organizations in each country we serve. *Note: Many our our Foundation partners are also Corporations. Please email or call Program Manager Erika Leonard at (510) 334-2242 to share more about your foundation’s giving goals and to learn how our work can further those goals. Kidpower is registered with Network for Good and are registered as charitable, nongovernmental organizations in each country we serve. Kidpower turns corporate contributions into dynamic services that have an immediate, lasting, and visible impact. Our corporate partners have a broad range of priorities. Some want to help make schools safer, more positive places for learning. Some want to help people with disabilities thrive in the workplace and participate fully in their communities. Others want to take action to stop bullying, child abuse, or domestic violence. Our community-based services directly address their priorities — and we get results. Their contributions directly, exclusively, and entirely benefit the regions or groups they want to help. We guarantee it. Our focus on solutions communicates confident leadership they are proud to connect with their name. Awarding grant funds to provide services and materials. We ensure that every dollar is used in the city, county, or region the corporation wants to serve and addresses the specific populations they want to help. Sponsoring local workshops. Businesses of any size can show their commitment to safety by sponsoring a workshop for a neighborhood school or nonprofit that matters to them. Matching their employees’ contributions. When individuals offer support that is matched by their employers, their combined generosity has a deeper impact. Please email or call Program Manager Erika Leonard at (510) 334-2242 to share more about your own company’s giving goals and to learn how our work can further those goals. We are registered with Network for Good and are registered as charitable, nongovernmental organizations in each country we serve. *Note: Many our our Corporate donors are also Foundations. Our government partners include agencies that sponsor Kidpower projects to promote community safety locally and internationally. We are also grateful for the partnership of our Law Enforcement Advisory Committee members; these individuals continue to help us grow by building connections and by sharing the insights they’ve gained about personal and community safety during their many years as peace officers and detectives. The Watsonville Police Department, which recognizes Kidpower as a Law Enforcement Partner on their website’s home page and has sponsored our Parent Child Workshops since 1991, bringing Kidpower skills to hundreds of families in the area. The Santa Cruz Commission for the Prevention of Violence Against Women, which has been a collaborator on various projects bringing Kidpower People Safety skills to children, teens, and women since 1994. The Victim Compensation Program of the 4th Judicial District Attorney’s Office, Colorado, which has provided compensation for direct service for child victims participating in Kidpower of Colorado Springs programs since 1996. The 4th Judicial District Victim Assistance Law Enforcement Fund, which has granted funds to Kidpower of Colorado Springs since 1998. The New Zealand National Police Youth Education Services, which co-sponsored the development of the Confident Kids program in 2003, a program that continues to bring Kidpower skills to New Zealand schoolchildren nationwide every year. The Santa Cruz Police Department, which has helped many families learn Kidpower skills by co-sponsoring local Parent-Child Workshops multiple times annually since 2004. 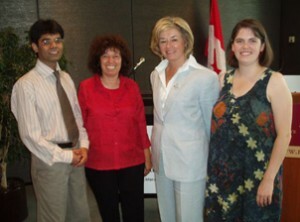 The Canadian International Development Agency, which launched our highly successful Reaching Out Project by generously sponsoring the participation of delegates from developing countries in our 2005 International Conference. The Reaching Out Project provides our training for social service professionals around the world so they can foster the growth of People Safety skills in their own communities. The New Zealand Ministry of Justice, which awarded a two-year grant in 2009 for the Healthy Relationship Program, a Sexual Violence Primary Prevention Project supporting the development of services and materials tailored to the needs of teenagers and adults with developmental disabilities. 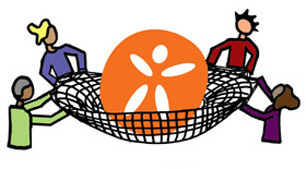 The Council on Developmental Disabilities Area 4, which helped people with developmental disabilities who have been victims of abuse from being re-victimized, and prevent others at-risk from suffering abuse in the first place, by equipping them with experiential success-based tools and skills. Train, coach and mentor people responsible for the care of people with disabilities such as parents, caregivers and health, education and social services program staff in how to recognize, prevent, intervene, respond to and remedy (potential) abuse; how to teach these skills on their own. The Council on Developmental Disabilities Area 7, which helps prevent young people with developmental disabilities who have been victims of abuse from being re-victimized and equips young adults with developmental disabilities and their families with the social-emotional tools and skills sets necessary for a successful transition to adult life; enter and succeed in gainful work opportunities, and attain a higher level of independence and self-sufficiency. Karl Herndon, Deputy Sheriff and former detective. Currently a teacher of defensive tactics to law enforcement officers, Karl is also a longtime padded instructor whose expertise has improved our services. Jim Howes, retired police officer and Community Relations Specialist with the Santa Cruz Police Department. Jim now teaches college courses in law enforcement and acts as an adviser and collaborator on community safety programs. Jim’s leadership in building the relationship between our organization and the Santa Cruz Police Department has led to a long collaboration helping many children learn skills to be safe. Ian Kirkpatrick, police officer. As a founding board member of our New Zealand Trust, Ian helped create a collaboration between Kidpower and the National New Zealand Police Youth Education Services. This gave rise to the Confident Kids program, which bring Kidpower skills to public school children throughout New Zealand every year. Manny Solano, Watsonville Police Chief. A longtime supporter who has consistently built Kidpower’s credibility with other law enforcement officials for many years, Manny has sponsored workshops, served as an ex-officio board member, and continues to provide consultation on criminal justice issues. Please email or call Program Manager Erika Leonard at (510) 334-2242 to share more about your agency’s giving goals and to learn how our work can further those goals. Kidpower is registered with Network for Good and are registered as charitable, nongovernmental organizations in each country we serve. Thank you to our many Individual Donors who support our Annual Giving Campaign and Scholarship Fund for people in need of our services! Individual donations are essential in supporting Kidpower’s sustainability for the long run and expanding our reach, so that we can continue to provide effective child protection, positive communication, and personal safety skills to protect people of all ages and abilities from bullying, violence, and abuse by empowering them with awareness, action, and skills. Can I Donate Stock? YES! We accept donations of commonly held, publicly traded stocks. It is easy to do, and you may get a larger tax benefit than by making a cash donation. Save time, get a tax-deduction, and make a gift that will bring Kidpower services to those most in need! 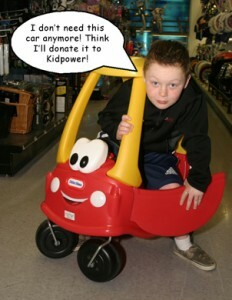 Vehicle donations to Kidpower are possible from anywhere in the US.